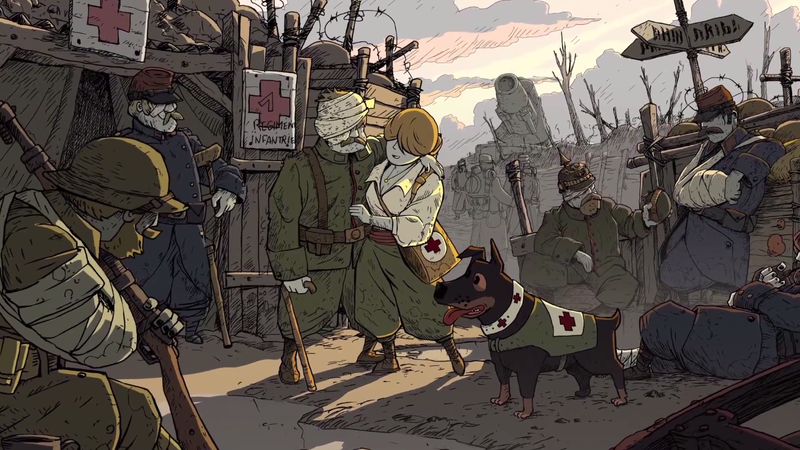 I was predisposed towards liking Valiant Hearts: The Great War. I mean, here’s a game about a war that is rarely seen in video games (the First World War), there’s no shooter gameplay in it, it is not about winning, the game has a distinct anti-war streak, the overall tone is melancholy, and Valiant Hearts even does a good job of educating its players about WW1 without turning into a moralising lecture. Whereas the vast majority of games set in wartime put you behind a gun or inside some vehicle equipped with guns, Valiant Hearts is largely pacifist in its leanings. Its protagonists are French, German, Belgian – and canine, since I hesitate to assign a nationality to a dog… as does the game, to its credit.